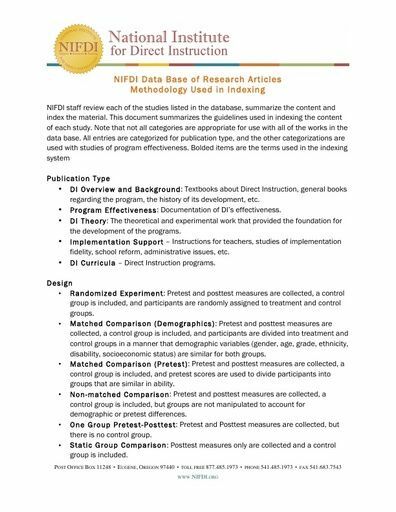 NIFDI bibliographies and abstracts of the literature examine the use of DI with students of different ages and demographic characteristics, the results of specific research projects, and summaries of the research literature. 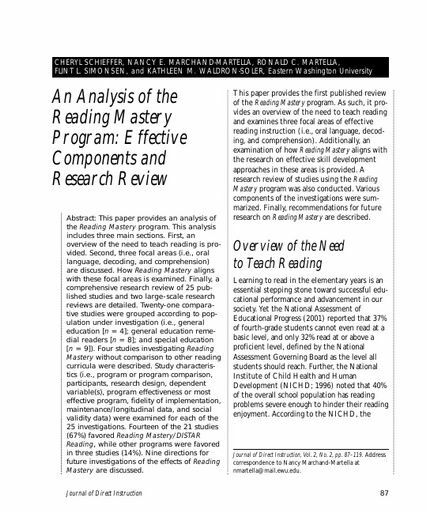 Each of the reports featured here are prepared and published by NIFDI's Research Department. Questions about the reports should be directed to . 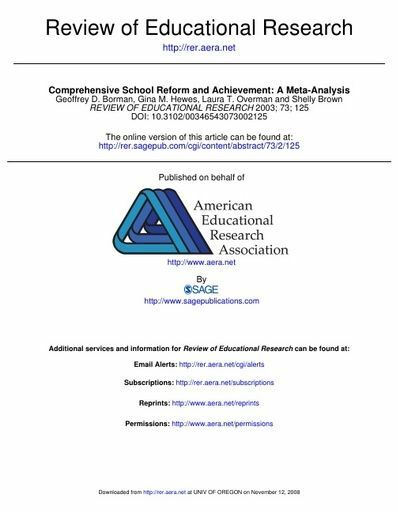 NIFDI white papers provide summaries of the literature related to Direct Instruction and analysis and commentary of contemporary issues in education. 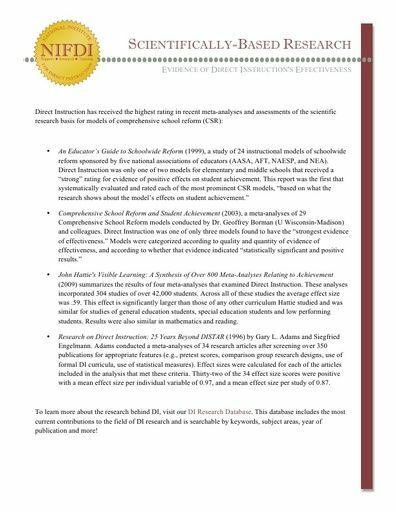 This is a short analysis helpful for individuals interested in the whole school reform work. 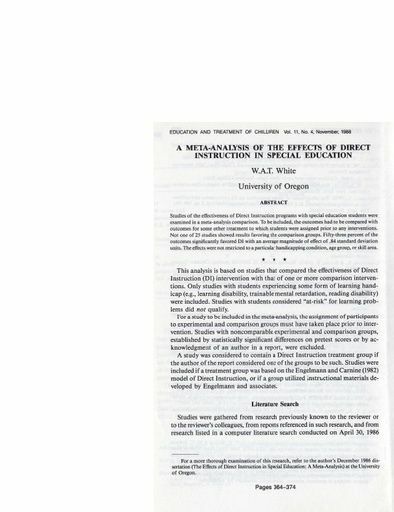 Dr. Jean Stockard, NIFDI’s former Director of Research, summarizes the body of evidence documenting the effectiveness of Direct Instruction as a whole school reform model based on the word done by Borman, Hewes, Overman, & Brown. Dr. Stockard also includes a table with preliminary results from the meta-analysis.